3 inch compact size design full range audio speakers, sold in pair. Sensitivity: 88dB, 108Hz~18KHz±3dB effective frequency, 5~15W power range. 3 band full-range equalizer, sweet, crisp and clear voice, suitable for 2.0 2.1 speakers DIY and home audio-visual equipment. 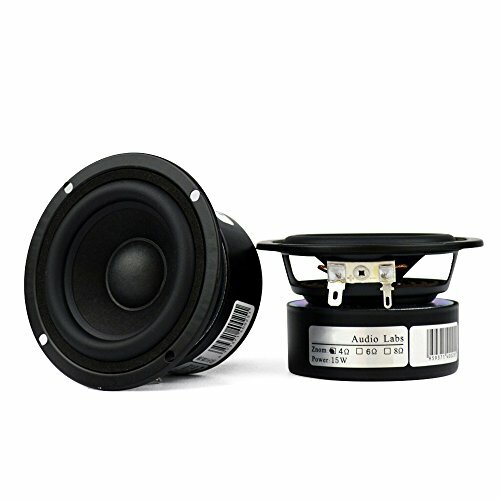 20mm big voice coil, anti-magnetic design help to avoid magnetic-field interference. Size: outer diameter-φ3.5"/89mm, install opening-φ2.79"/ 71mm；2.12"/ 54mm height.